It’s almost 2019, if you can believe it, and more than fall leaves or pumpkin spice lattes, tech fans like myself relish the smell of a freshly unboxed smartphone (thanks to Apple’s annual September unveiling). But it’s not just consumers who love mobile tech; businesses do too.Â As mobile technology becomes more powerful, businesses — including restaurants — enjoy increasingly robust mobile hardware which can handle more powerful and nuanced software functions. Indeed, restaurant managers,Â in particular, have an increasing number of mobile management applications at their disposal. From tablet-based POS systems that accept mobile paymentsÂ to online reservation services that let customers reserve a table with an app, more restaurant management functions are being conducted online and on mobile devices. But with all the restaurant apps out there, how do you know which ones you should use? Think of it kind of like cooking: if you use too much or too little of an ingredient, it ruins the dish. Similarly, if you use too many management apps, there’s too much overlap in services (not to mention the fact that you’ll run out of bandwidth and money), and if you use just one or two services, you may miss out on critical features. To help you out, I’ve put together this list of the top restaurant management apps in terms of both quality and popularity. From employee managementÂ to accounting to raw ingredient tracking, modern mobile restaurant software can help you with every restaurant management task you can imagine. I’ve divided these top 10 best restaurant management apps into restaurant point of sale (POS) software apps—which are often complete restaurant management systems with few if any third-party add-ons required— and other restaurant management apps which offer more specific, targeted functionality. The awesome thing about today’s app-based restaurant point of sale systems is that they are often complete restaurant management systems. Or if they do not include essential restaurant management functions, they will typically have integrations that work together with other restaurant management apps (for accounting, staff scheduling, inventory management, etc.). As such, your restaurant POS system is a good basis on which to build any other add-ons to your restaurant application suite. Toast is a complete, Android-based restaurant point of sale system and restaurant management system for restaurants of any size. With strong front-end and back-end features, Toast not only takes payments with integrated payment processing, but also tracks your sales, labor, and inventory, organizing that information into useful, internet-accessible reports. With mobile POS tablets, servers can send orders directly to the kitchen and even process payments right from the table. Kitchen display system and kiosk ordering are some other high-tech add-ons available for purchase from Toast. Toast also has an open API which lets you create your own applications, should you be so inclined. Pricing for this complete POS and restaurant management system starts at $79/month. Overall, Toast is a good option for restaurants that want a complete restaurant POS and management system and prefer aÂ non-iPad POS. TouchBistro is a bestselling iPad POS app for restaurants. While it isn’tÂ an “all-in-one” restaurant management system like Toast, it’s cost-effective, easy to use, and very good at what it does. TouchBistro runs as an app on via one or more iPads, with multi-iPad setups keeping in sync via a local Apple server. TouchBistro does have some online reports allowing you to view your restaurant metrics anywhere with an internet connection, but it does not require a WiFi connection to operate, other than to process credit card payments.Â TouchBistro integrates with multiple payment processors. In summation, TouchBistro a very capable iPad POS for small-to-medium restaurants that are budget-conscious and may not have a powerful internet connection. Pricing starts at $69/month. Breadcrumb is an all-in-one restaurant management and iPad POS system which could perhaps be considered the iPad-based answer to Toast. Comprehensive restaurant-centric management features that let you manage tables, employees, and menu items with a few finger taps make this restaurant software application suitable for any full-service or quick-service restaurant, no matter the size. Breadcrumb is fully cloud-based and requires no on-premise server.Â In-house payment processing is provided exclusively by Breadcrumb’s parent company, Upserve. Breadcrumb pricing starts at $99/month. Again, it’s a solid all-in-one restaurant POS system for iPad with an array of restaurant features. When compared to Toast, however, Breadcrumb might come up slightly short in some respects, such as inventory management. However, Breadcrumb offers integrations with third-party restaurant apps to help fill in any functionality gaps. While it can be used for either restaurant or retail environments, ShopKeep is a great all-around POS software system that’s reasonably priced and extremely easy to use. Aimed at small businesses in particular, this iPad POS software has a pleasant, Apple-centric interface with convenient register buttons for the most popular menu items. ShopKeep uses a “hybrid” data storage system in which data is stored locally on your restaurant’s iPads, and then syncs back to the cloud when there is an internet connection. As with the other restaurant POS apps on this list, ShopKeep has integrations to make up for any restaurant management features it doesn’t have, such as advanced inventory management and online ordering. ShopKeep is an affordable and capable iPad POSÂ that works well for small restaurants of any type. ShopKeep pricing is customized based on your individual business’s needs and is comparable to TouchBistro or Lightspeed Restaurant. Note that while Shopkeep does provide fairly priced in-house payment processing via Shopkeep Payments, you can also use an outside payment processor. Lightspeed Restaurant is an app-based iPad POS system built specifically for—you guessed it—restaurants. Lightspeed is not the most complete restaurant POS out there, but it is highly mobile-friendly and certainly delivers a lot of bang for your buck. The Lightspeed Restaurant app requires iOS 9.3 or later to operate and you can access the backend via any internet-connected web browser. In addition to iPads, Lightspeed can even be used on an iPhone or iPod touch, though using the app on those two devices is best for basic features such as clocking in and quick orders. Lightspeed Restaurant pricing starts at $69/month. This cloud-based iPad POS app is perfect for small-to-medium restaurants of any type. What follows are some more restaurant management apps. Rather than the complete restaurant management tool that POS systems provide, these apps have a limited, specific function — like reservations or email marketingÂ — and may integrate with your POS system or be used separately. OpenTable is an online reservation and waitlist system that’s convenient to use for both restaurateurs and customers.Â You can access the app on your smartphone or tablet to view or change reservations, and to see your waitlist in real time. 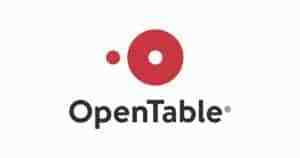 OpenTable is a highly useful tool for restaurant managers and waitstaff alike. OpenTable is online reservation softwareÂ for restaurants of any type, especially favored by trendy, upscale bars and eateries. OpenTable’s “Connect” option has limited features but only costs between $0.25 and $2.50 for each booked guest. The “GuestCenter” option with more advanced restaurant management features and POS integration is $249/month + $1 per reservation. Fivestars is a mobile rewards program for local businesses such as restaurants. Customers sign up for Fivestars’ loyalty program either at your restaurant or via the Fivestars mobile appÂ and start earning rewards and receiving promotional offers via text, email, or push notification. Your staff then redeems your customers’ rewards and offers from your POS or a mobile device. Fivestars also has a lot of cool marketing features that vary depending on which plan you choose. Whether you want to encourage repeat business or gain a competitive edge on other restaurants in your area, Fivestars will help you do both. Multiple options for setting up rewards system, e.g., customers could earn points per-dollar, per-visit, etc. Fivestars online loyalty software is especially popular among cafes and coffee shops, but it’s also used by full-service restaurants, bars, bakeries, smoothie shops, and every other type of brick-and-mortar eatery. Fivestars’ starter plan—which includes two customer-facing tablets, POS integration, the Autopilot program, onboarding and three training sessions—is $279 per month. QuickBooks is essential accounting software for small businesses, and restaurants are no exception. In recent years, this quintessential business software has become has become more online and mobile-friendly, with the introduction of QuickBooks Online and excellent mobile apps for iOS and Android. Besides making accounting tasks simple and affordable for independently owned restaurants, cloud-based Quickbooks Online also integrates with most modern restaurant POS systems. Quickbooks Online integrates with most restaurant POS systems. Usually, the question is not whether Quickbooks integrates with your POS, but rather, the quality of the Quickbooks/POS integration. A direct, seamless integration is ideal. Here you can read about 7 POS system that have direct integrations with Quickbooks. QuickBooks online is cloud-based accounting software for any internet connected device. Depending on which features you need, QuickBooks online will set you back between $15 and $50/month. Xero is a QuickBooks alternative which many restauranteurs around the world use every day to manage their restaurant’s accounting tasks. 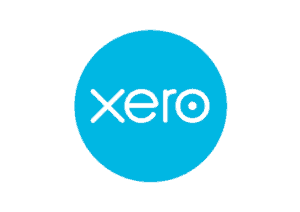 Just like QB Online, Xero has both iOS and Android appsÂ and can be accessed via any internet-connected device. Xero also integrates with many cloud-based restaurant point of sale systems. Xero doesn’t have as many features as QuickBooks; for example, payroll support is limited to only 37 states and there is no job-costing feature. However, Xero also costs a lot less than QuickBooks. With pricing starting at just $9/month, online accounting app Xero is a more affordable QB alternative for restaurants that don’t need every advanced accounting feature. MailChimp is email marketing software you can use to boost the online marketing efforts of your restaurant. While most POS apps include some email features, they are usually somewhat lacking. With a fully featured email marketing program like MailChimp, you can set up automated email campaigns to build customer loyalty, advertise promotions, and grow your social media following. MailChimp is entirely cloud-based; the company also offers a mobile app for iOS and Android devices. Robust free plan includes up to 2,000 subscribers and sends up to 12,000 emails per month. MailChimp has a very decent free plan and paid plans start at $25/month, scaling up depending on how large your list is (and how many features you want).Â This easy-to-use ESP supports both small start-ups and large corporations. A successful restaurant business has the same basic ingredients it did 20 years ago or even 200 years ago: delicious food, happy customers, excellent service, and organized behind-the-scenes processes to keep everything running smoothly. However, the tools used to achieve restaurant success have changed with advances in technology. Everything from taking payments, to advertising, to bookkeeping, to employee management has been digitized. One important job of restaurant management that can’t be replaced with automation is the restaurant manager herself. Being awesome at your job, I’m sure you will do a great job selecting the management apps that work for your unique restaurant business. Have fun with the selection process and make sure you utilize free trials of all of these apps so you can be sure the restaurant management software you choose works great for your needs before you commit. The post The 10 Best Restaurant Management Software Apps appeared first on Merchant Maverick. Next PostNext What Is Collateral And Do I Need It For A Business Loan?